Welcome home to the gated community of Covington Lake, and its custom-built brick and stucco homes on generous half-acre lots. If you enjoy casting a line, you'll be thrilled about 12 acres of fully-stocked lakes. The homes aren't bad either, ranging from 1,800 square feet to more than 3,000 heated square feet in size with the option of 2 or 3 car garages. Most of the 3-4 bedroom versions containing plenty of upgrades. 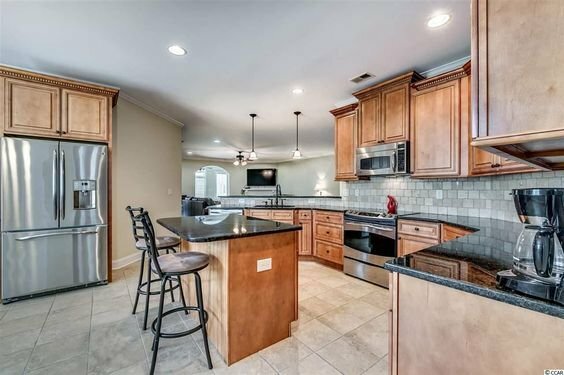 Think hardwood flooring, landscaped yards, granite countertops and lake views. Prices start at the low $200s and top out at around $300k. 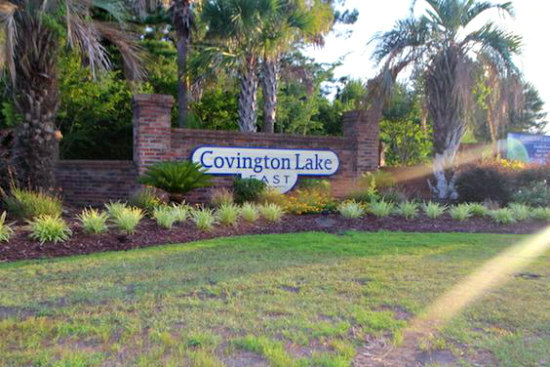 Covington Lake has an excellent reputation for being one of the best neighborhoods in the Carolina Forest region of Myrtle Beach. 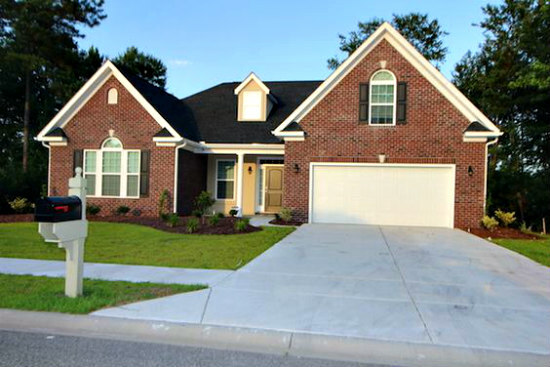 Read more about Covington Lake real estate. Covington Lakes is about community living. It is the shining star of Carolina Forest that has additional features such as a cabana around the pool area and lighted sidewalks. Residents simply rave about the community. The newer Covington Lake East development consists of homesites around $40,000, most in foreclosure status. This price point presents an excellent investment opportunity. The Covington Lake's 200 homesites sit near one of 3 lakes. Imagine the water views as you entertain in your well-appointed, quality constructed home. Walk out your back porch, throw out a line and catch one. Nearly half of the lots are lakefront and conservation lots while the others have lake views. The community also has a small pool area for its residents, which means the home owner's association fees are among the lowest of any residents in the Carolina Forest area. Covington Lake is located 2 miles from Highway 501 and the numerous shopping locations that the Carolina Forest area has to give. The community is also located next to the fire department.